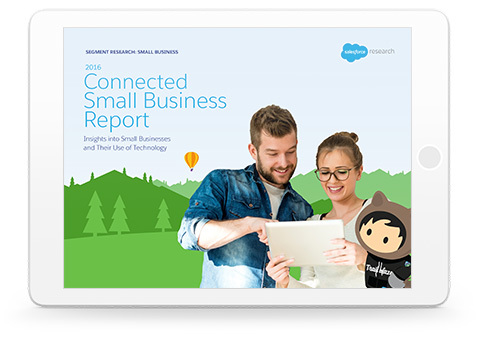 the 2016 Connected Small Business Report. See how Salesforce helps you find, win, and keep more customers. Click here to check out our solutions for growing businesses. See how our man “Carl” gives wings to his small business using Salesforce to find, win, and keep more customers. Ready to grow your business, but don't know where to start? Tell us your needs, and we'll give you a boost.